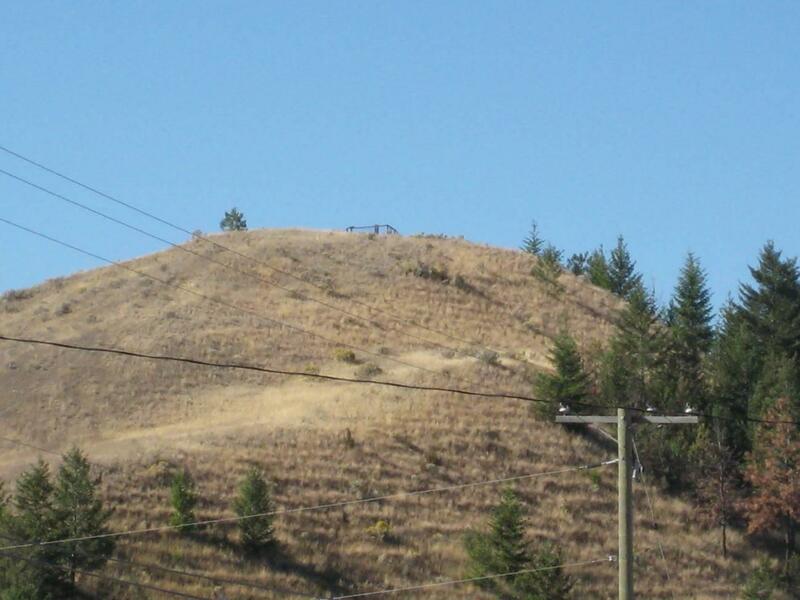 The following is a transcription of the Ingram-King burial site located in Westwold, British Columbia, Canada. Latitude: 50o 27' 40.57" N.
Longitude: 119o 42' 14.86" W.
Henry Ingram was one of the first settlers in the area originally known as Grande Prairie. This area’s name was changed to Westwold in 1926. Henry and his wife, Jane Florence MacKenzie along with their four children (Etta, William, Annie and James) lived near Ingram Creek. Henry passed away on April 1, 1879. Jane lived to be 80 years of age. She died at home from heart failure on August 28, 1911. The Ingram’s daughter, Annie married Fred King in 1897. They had a total of nine children. Two of those children died early. James King lived only 16 days while Laura King died at birth. James and Laura are buried along with their grandparents at the family cemetery. The Ingram-King burial site appears to consist of only four burials, of which three are marked. The burials are laid east/west. 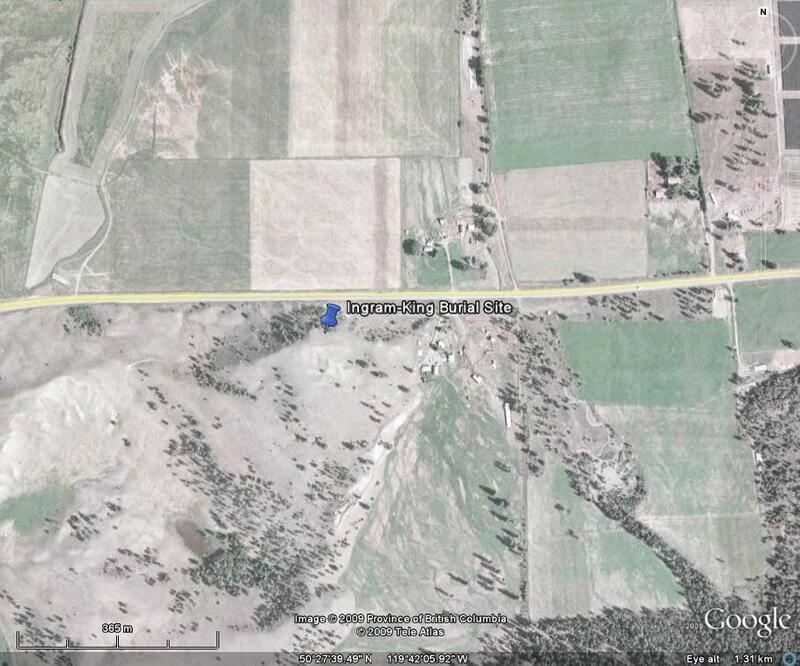 The site itself is approximately 4 metres by 9 metres and is enclosed with a wire fence and a gate built with boards. 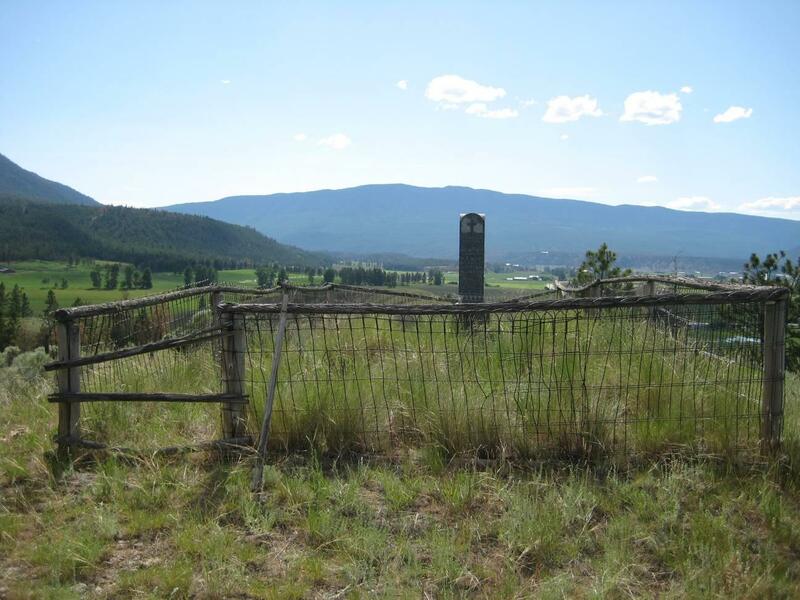 In the two photos above, taken from Highway 97, the fence surrounding the cemetery is just visible at the top of the knoll. The cemetery site is located on the east end of Westwold along Highway 97. 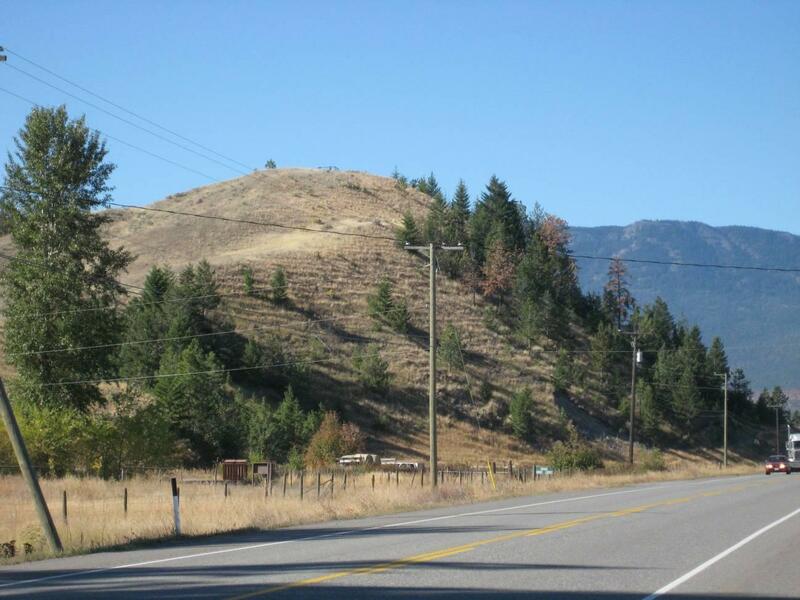 It is approximately 6.1 km from the Douglas Lake Road turnoff in Westwold and 11.6 km from the Chase-Falkland Road in Falkland. The site is situated at the top of knoll on the south side of the highway. There is a view of the Westwold valley from the cemetery.